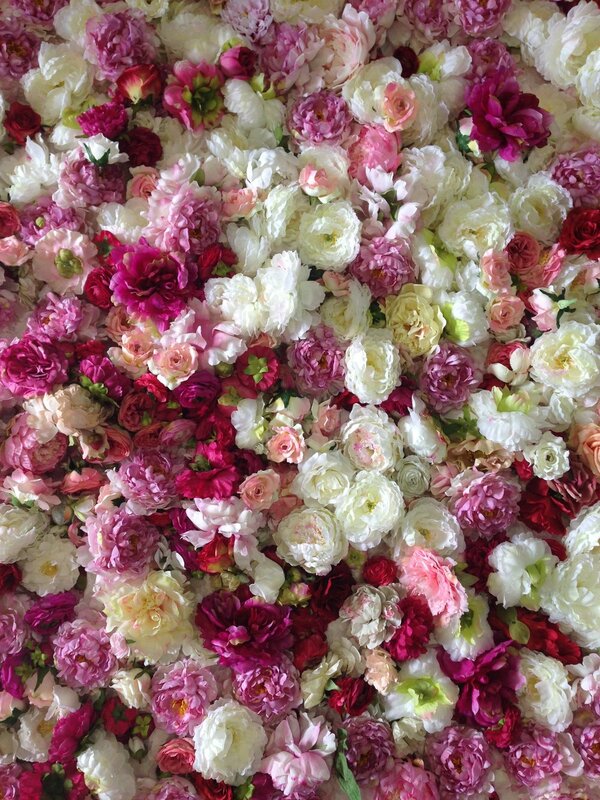 Our challenge on this job was to create a fantasy world of oversized peonies and roses for Katy Perry to frolic in. We had a limited palette, limited bolts of silk and as usual, limited time but the joy of this job was animating flowers and enveloping myself in a world of pink! My favourite colour. The trickiest part was making the giant silk flowers light enough for Katy Perry to be able to hold and walk around in high heels on set still looking graceful and beautiful. Here I am testing the weight with my fake high heels on. I have so much respect for our scenic artists and this guy has been finessing the craft for the last 40 years. Painting our beautiful pink sky backdrop. He is like a little cupid in the clouds! Like a Dutch still life, Maddie putting the finishing touches on our peonies before we make the bed of flowers after sourcing 6,000 beautiful silk peonies that then each needed to be hand sewn a point for attachment. Sometimes we haven't even finished construction and a new mood presents itself. Sometimes I prefer the deconstructed work in progress over the final look. Measuring out our scale and petal sizes. This flower actually ended up being built to animate and turned out beautifully thanks to our amazing team. Here it is once we got it onto set and on our custom plexi floor built out by my fantastic construction team. Mostly hand sewn or hand glued, we are gluttons for punishment but we love what we do and the final results are always worth it.